Charge Shot!!! : How the Hell Did I Get This Job? How the Hell Did I Get This Job? From 8:30 (sometimes 8:45) to 4:30 every day, I am paid a not inconsiderable sum to figure out everything that's wrong with the computer that's sitting on your desk. I'd like to think that I'm reasonably good at this job, in spite of my liberal arts degree. Yes, that's right, liberal arts degree. I believe that if you pick up a recent thesaurus, you'll find this unfortunate combination of words listed as a synonym for unemployed. Obviously, my schooling didn't train me for a life of installing, maintaining, and repairing technology, though it did help my ability to write about it for your benefit. How, then, did I come by the skills necessary to do this stuff without being fired? If you've asked me this question before now, you've likely gotten a stock answer: it was a hobby, and then I got a job. This is not untrue, and it's descriptive enough to deter small-talkers, but it's not the whole story by a long shot. No, the small-talkers, the ones who sit idly by while the Tech Guy fixes everything that's wrong with their computer, don't know what a loose cannon I was as a kid. Now, I'm the only guy you want working on your PC; then, I was the kid that your parents told you wasn't allowed on your computer. Let's not start there, though. That's no fun. Let's start at the very beginning, a very good place to start. The time is 1995 or 1996. The personal computer is being revolutionized by Windows 95, and thousands of people are discovering the Internet for the first time. My family, on the other hand, was just getting its first computer, and it wasn't pretty. Now, I like to think of it as the We're Sorry You Can't Afford A Computer computer - it was a donation from our church, a hulking monstrosity from the time when PCs were still known as "IBM compatibles." It had not just one, but two 5.25-inch floppy drives - this dated back to the time that floppies were still floppy. I didn't know anything about computers at the time - I was fascinated by this buzzing hulk of a machine. It ran the intimidating, user-unfriendly MS-DOS. It took me days to figure out how to format floppy disks so that I could put things on them. And yet, for whatever reason, this massive paperweight did something to captivate me. I went to our public library and started thumbing through the computer manuals - I learned all about MS-DOS 5.0. I read books that marveled at the existence of hard drives, of computer mice, of modems with speeds measured in baud. I had no idea that the stuff I was reading was so desperately outmoded, even by the standards of the day - all I wanted was to know more, to make the blinking cursor on the screen dance to the song I was playing. That computer was subjected to a host of firsts: my first OS upgrade involved copying a newer version of DOS from my grandmother's computer to some floppy disks. My first hardware repair involved forcing the computer's case off and reseating a loose cable. In both cases, I wasn't hurting anyone. This was a computer that belonged to our family, more or less, and even if I broke it, it wasn't like it did anything truly useful for anyone anyway. We upgraded our home computer at a snail's pace - next came a computer that was pretty similar to the first one, except with a twenty megabyte hard drive. For the computer illiterate among you, imagine a computer that could hold the contents of twenty floppy disks! Or maybe a computer that could hold about 1% of the data that the current iPod Shuffle can hold. That'd do it too. After that came a computer with a CD-ROM drive that ran Windows 95. Windows 95. Ignore the fact that this happened in 1998 and this would be downright impressive! I later tried to upgrade this computer to Windows 98, much to its chagrin. Last but not least is the eMachine that we bought in late 1999 - a veritable powerhouse, I once played a 3D game on it. Once. The family's computers were always subject to a fair degree of tinkering, but it was my friends' computers that suffered because of my insatiable thirst for knowledge. The computer that suffered the least belonged to my friend Matt - it used Windows 3.1, which I upgraded with a copy of Windows for Workgroups 3.11 that I had copied from one of my more obscure cousins onto eight floppy disks. Did I know anything about why Windows 3.11 was better than Windows 3.1? Of course not, and the truth of the matter was that they were basically indistinguishable from one another. All I knew was the fact that 3.11 was a higher number than 3.1, and that was good enough for me. At least that upgrade ended in a working computer. 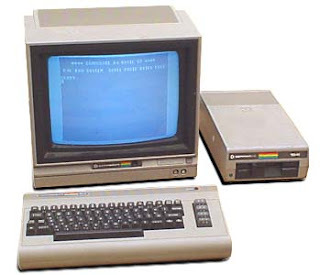 My friend Kevin had a weird educational computer that I completely wrecked when I tried to make it work like a regular computer - I had assumed that any computer with a floppy drive would act like any other computer with a floppy drive. I was, um, wrong. All we wanted to do was play Gorillas; all I did was make the computer completely unusable in any capacity. The only thing that saved his mother's computer from the ol' Windows 3.11 upgrade was that it was already running Windows 95. And that's pretty much how it went. Our family computers were all so old for so long that the chance to play with newer, faster hardware and software was always lucrative for me, thought it nearly always met with disaster. On the lesser end of the spectrum were the computers on which I simply installed Napster without asking, while in the most dire case I made the hard drive of another friends computer completely disappear (I could totally fix this myself now - at the time, they needed to take the computer somewhere to get it fixed). I'm sure that no one really enjoyed being my guinea pigs at the time, but every mother who let me on the family computer contributed that little bit to my quest for computer knowledge, and I'm pretty thankful for that.